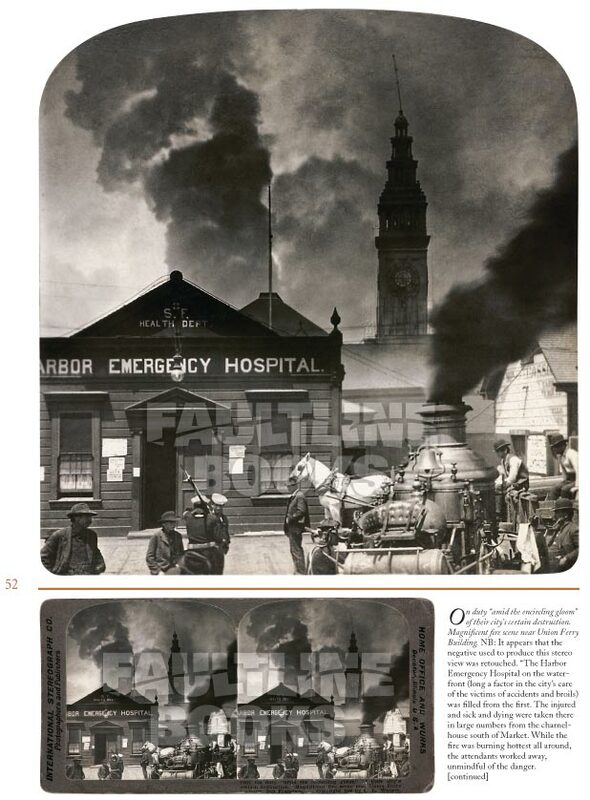 Stereo Views of San Francisco's Great Earthquake and Fire. April 18th marks the 100th anniversary of the 1906 San Francisco Earthquake and Fire. 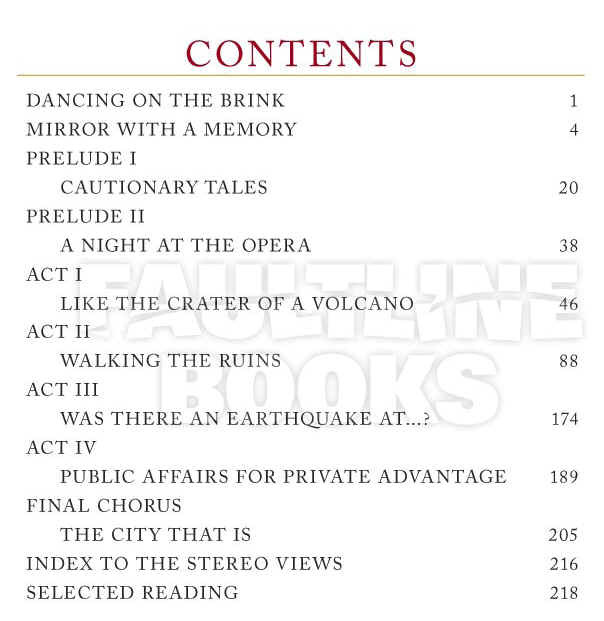 Countless books have been written on this compelling subject. 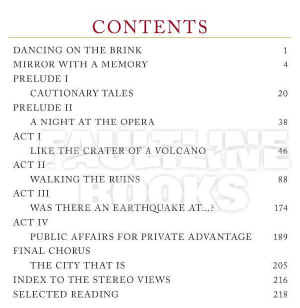 Yet, until now, there has never been a full-color “coffee-table” book about California’s greatest natural disaster, let alone one that features 3-D images of the catastrophe. 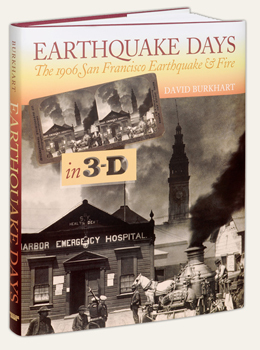 1906 San Francisco comes to life in this unique collection of over 100 original stereo photographs (viewer included) of the “City-By-The-Bay.” These haunting 3-D images were created before, during, and after the earthquake and fire that destroyed 508 city blocks and left 200,000 homeless. Accompanied by firsthand accounts, newspapers, maps, and lithographs, they re-create San Francisco’s great calamity and indomitable spirit with stunning realism.